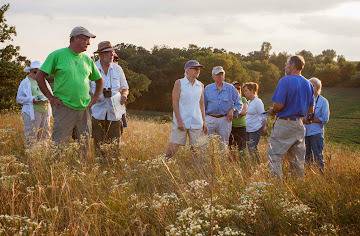 The Conservationist works as a team member under the guidance of the Executive Director to manage our two nature preserves and other fee-owned properties, steward our 67 conservation easements, create infrastructure and partnerships at our community conservation projects, and develop and strengthen relationships with financial supporters and partners of Groundswell Conservancy. This position plays a crucial role as the representative of Groundswell at our protected areas. Resolution of issues relating to compliance with restrictions, preparing requests for approvals of reserved rights, etc. This position requires frequent but seasonal weekend and evening work. We offer a semi-flexible work schedule. The proposed start date for this position is Friday, February 1, 2019. Please send a resume and cover letter via email in a pdf format to Jim Welsh, Executive Director, Groundswell Conservancy, jim@groundswellwisconsin.org. The cover letter should summarize your interest and qualifications for this position. The application deadline is Friday, January 4, 2019.